"Worldwide, and with special intensity in the countries of the South, the "Grabbing of Land and Oceans" takes place, that is, the facilitated acquisition by the oligarchies and transnational corporations of the biodiversity that inhabit the lands, seas, lakes, ponds, rivers, wetlands of a country. This dispossession of resources violates human and cultural rights of millions of people and is facilitated by the World Bank, supported by many governments of the "First and Third World!" with the cooperation of some international organizations once pro-environment and now pro-business. This policy of plundering works against the food security of millions of people. To deprive countries of their goods attractive terms are used such as the "right to private property," "transferable fishing quotas," "secure access," "Marine Protected Areas" etc. In Honduras the giving away of resources process began in the early 90's along with efforts to pass a new Law on Fisheries and Aquaculture (LPA). Over the years, Congress never went against the opposition from artisanal fishermen who are currently disjointed and the Non Gubernmental Organizations dedicated to implementing projects, which hurts their advocacy work. At this juncture, President John O. Hernandez, who controls Congress and the Supreme Court, succeeds in having a new LPA approved on September 23, 2015. Despite the "cosmetic" changes it has undergone over the years, this law robs Honduras of its aquatic and food. Consistent with the dictates generated by the "global grabbing of oceans," this LPA gives "private property rights" and "transfers" to: "licensed aquaculture operators," "boat licensees" and those having "fishing quotas" who also acquire the power to put these state assets for sale, rent, and mortgage with guaranteed credit from the National Bank without the need for governmental approval! In such case, the state is required only to "register the final acts" of the transactions. The other requirement is "right of access" to territories and biological resources including genetic resources. 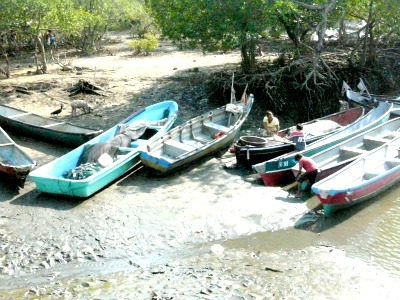 Consistent with this, Congress eliminates the "exclusive zone for artisanal fishing" and gives the right of access to vessels of 5 tons with high-tech self-navigation systems that do not yet exist in Honduras. 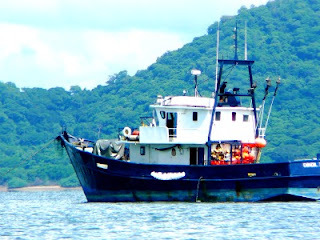 It also authorizes "access rights" to the shrimp trawl fleet and to other Honduran and foreign industrial vessels that can fish in all of the "Exclusive Economic Zone" including the coastal zone. Further, it grants access to aquatic and genetic resources to foundations, laboratories and research centers (local and foreign), which acquire rights for exploitation and management. In short, the new laws proceeds to surrender national sovereignty and thus of food sovereignty through the privatization of fisheries and the elimination of artisanal fishermen, with the marginalization that this entails of many coastal communities that depend on aquatic resources. Now, the only recourse is the right to challenge that law because of its unconstitutionality and because it undermines human and cultural rights. There is also the option to present this case of "resource appropriation" in the upcoming World Conference on Climate Change or to other international authorities."